SSC MTS Admit Card 2016-17 Download | SSC MTS Re-Exam Date & Admit Card: SSC MTS Non Technical Staff Admit Card for Re-Exam which was cancelled in May 2017 by the commission. At that time commission has issued a notice to clarify the issue and said that the exam will be conducted in the month of September / October 2017. The SSC MTS Exam 2016-17 was cancelled due to the exam conducting pattern. Now SSC MTS Exam will conduct online at all the centers across the country for all the SS Regions. Before cancellation, the exam was scheduled to conduct in the month April and May 2017 while after the successful conduct of first shift, commission has decided to cancel the SSC MTS Exam 2016 for all the remaining shifts for all the regions of SSC (Staff selection commission). 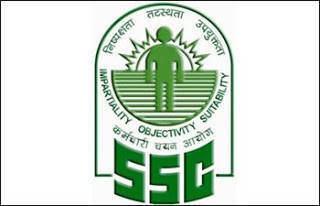 The official notification of the cancellation of exam is available here which was released online at the official website www.ssc.nic.in. There are total 8300 vacancies which are to be filled through this recruitment which is scheduled to be conduct online in next month. Now all the candidates are eagerly waiting for the SSC MTS Admit Card 2016-17. This recruitment is conducted by the staff selection commission to fill various multi tasking staff posts under various ministries and department. You can also read this post – SSC MTS Re-Exam Date 2017 for the latest information and to download official notice of the commission issued for the students. More than 50 lakh students have applied for this recruitment and waiting for their exam. If you are one of the 50 lakh students who are going to appear in SSC MTS Re-Exam 2017 Online then you should check this page for the latest update on the release of the SSC MTS Admit card and exam date/ schedule. But according to the commission’s notice, SSC MTS Re-Exam 2016-17 is likely to be conducted in the month Sept-Oct 2017 and it will be computer based exam conducting online. Recently SSC has declared SSC CGL 2016 Result on its website. Now its time for SSC MTS Exam 2017. You should do hard study for this exam because this is the great opportunity for all those students who are 10th passed / 12th passed and finding an opportunity to work with government department. Best of luck and make your preparation well. Share your queries in the comment below and discuss the preparation with your friends in comments.